A quick & easy way to initially set "T-Low" during Airway Pressure Release Ventilation is to use the "Expiratory Time Constant (RCexp)". 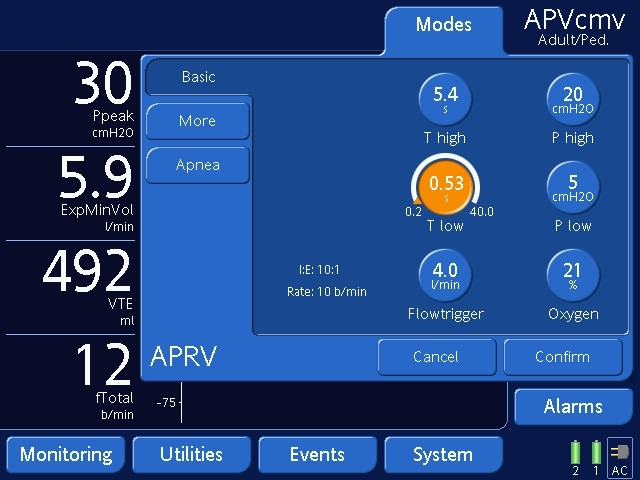 The RCexp indicates alveolar emptying time and it takes at least 4 time constants for adequate alveolar emptying (~99%). References state set T-Low to obtain a "Peak Expiratory Flow Rate Termination Point (T-PEFR)" at 50 to 75% of the measured "Peak Expiratory Flow Rate"
By setting T-Low based on one expiratory time constant one would believe that you would have obtained a T-PEFR 75% of the PEFR, (3/4 = 75%). However, in the 1st time constant the larger airways empty quicker due to decreased turbulent flow & the elastic recoil of the thorax.Thus contributes to ~ 63% of the total emptying of the lungs. The additional 37% of the volume from the smaller airways empties out over the next three to four time constants. So one can set the T-Low based on the RCexp and get close to the 50-75% range, however T-Low still needs to be continually reassessed & titrated based on T-PEFR & PEFR measurements. 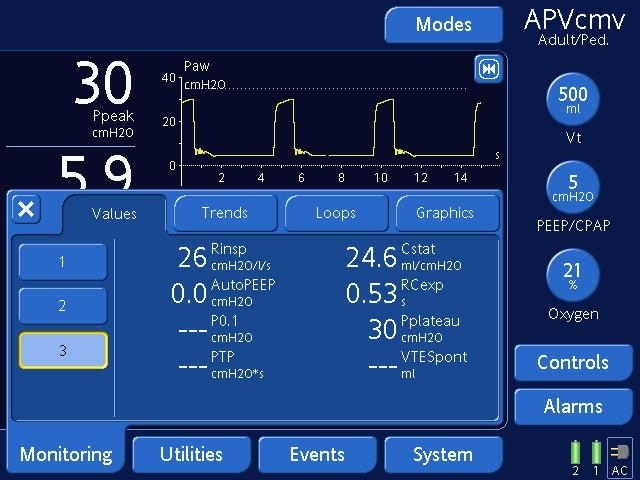 The following example is from a Hamilton C2 ventilator, any ventilator may be used which calculates a RCexp or the practitioner can calculate. Figure 1: C2 monitoring screen showing a measured RCexp of 0.53 seconds. Figure 2: Setting T-Low based on the RCexp at 0.53 seconds. 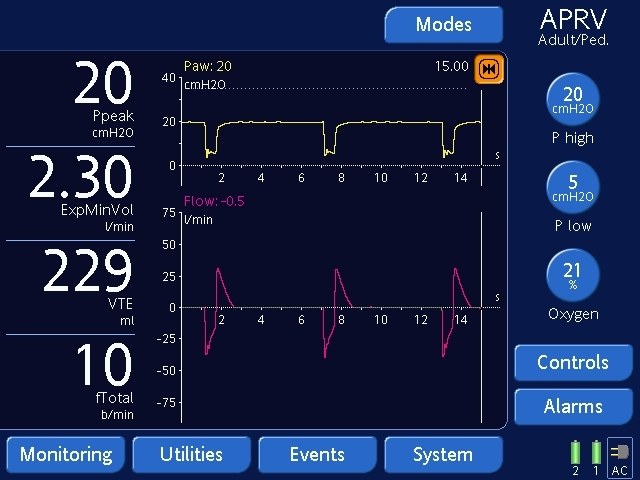 Figure 3: Viewing the pressure (yellow) & flow (purple) waveforms on the C2. Figure 4: Using the C2's screen freezing capabilities to analyze the expiratory flow waveform. Figure 5; Using the control knob to scroll & measure the PEFR -39. In this example the T-PEFR is at ~ 44% of the PEFR (17 divided by 39), showing that ~ 56% of the delivered volume emptied in the first time constant. This gets the operator close to the ideal range at where T-low should be set at. Setting T-Low based on the RCexp is a quick & easy way to initially set this parameter, however the operator still needs to continually assess the expiratory flow waveform for precise inputs.